The next time you’re surfing one of those dating websites looking for your soul mate, be sure to find out if your potential sweetie has a flexible schedule. After all, there are many reasons to date someone with work flexibility. 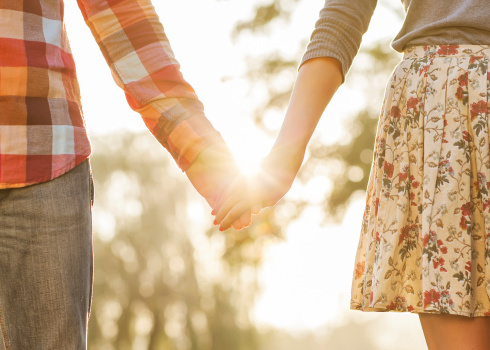 Here are just a few ways that dating someone with work flex makes for a match made in heaven. Sure, the idea of work flexibility sounds like a novel idea… until you actually experience it. Once you get a taste for being able to completely control your schedule and better balance your work needs with your personal needs, you’ll never look for an in-office job again. Naturally, you’ll want your partner to have similar values and be able to understand first-hand why working from home rocks. They value themselves—and you, too. When you date someone who works from home, you are dating someone who values himself or herself. Why? For starters, they know the importance of time and don’t like to waste it. (Anyone who has had a killer commute will tell you that time is a super precious commodity.) Valuing their time means that they will value and respect yours in return. Being a remote worker means that you’re the organized type. You have to be. After all, not having a boss breathing down your neck on a daily basis makes you constantly keep yourself in check in order to stay on top of your workload. That type of organization will extend over into other areas of a person’s life as well, such as being on time for appointments—and dates! Whether it’s to confirm the details of a project or to clarify a tersely-written email, the average telecommuter must learn to develop superior communication skills. They seek to always be understood and listen well in order to understand others. Finding a guy (or gal) who expresses himself and is a good listener to boot? This is hitting the jackpot in the dating world! They don’t have a crazy work schedule. Broken dates and cold dinners do not a happy relationship make. When you date someone who has work flexibility, those dating dilemmas are all but non-existent. They can customize their schedule so they never miss dinner and a movie with you. And ditto for last-minute cancellations and work commitments. Those will be all but a distant memory when you date someone with work flex. It’s a cliché that people who work from home are often in their PJs. But ask any telecommuter, and they’ll tell you in confidence that the cliché is actually kind of true. After all, being at home alone each and every day doesn’t really inspire workers to get all gussied up. But given the opportunity to go outside on a date, telecommuters will jump at the chance to play dress up. Their attention will be totally on you. Let’s face it. Working from your home office can get a bit lonely at times. Many telecommuters crave companionship, so when they do date you, their focus will almost always be on you—and not on their smartphone.